We are thrilled to announce the creation of Lift University, a 5-day Christian camping experience for college-age young adults designed to challenge, renew and empower them with knowledge and conviction. Lift U is for anyone that has recently graduated high school and is in the college age range is invited to join us. You do not have to be currently enrolled at a school to attend. LIFT U is not simply camp for college students, but rather a completely unique experience designed to address the varying topics that you encounter in the college-age life stage. There will be time devoted to personal growth through a focus on prayer, quiet time with the Scriptures and small groups, as well as group worship and plenty of down time to connect with old friends and make new ones. We’ll also throw in a few games and competitions to keep things interesting. 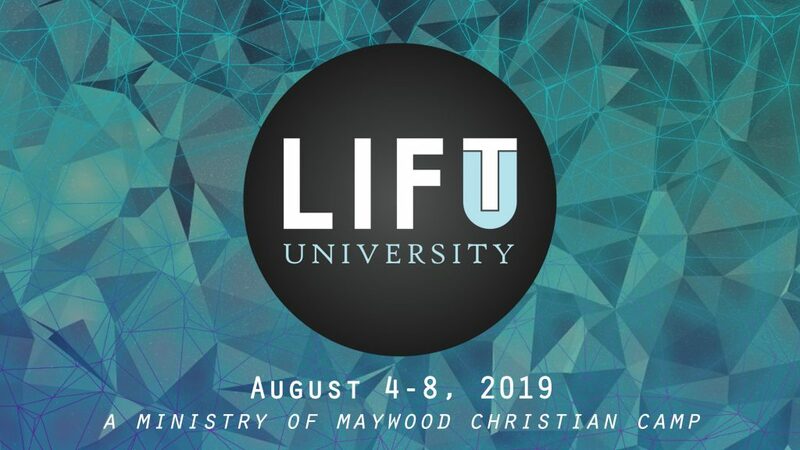 Our first session of Lift University will be held August 4-8, 2019, here at Maywood Christian Camp. To register or to learn more about Lift University, please click here or contact us.